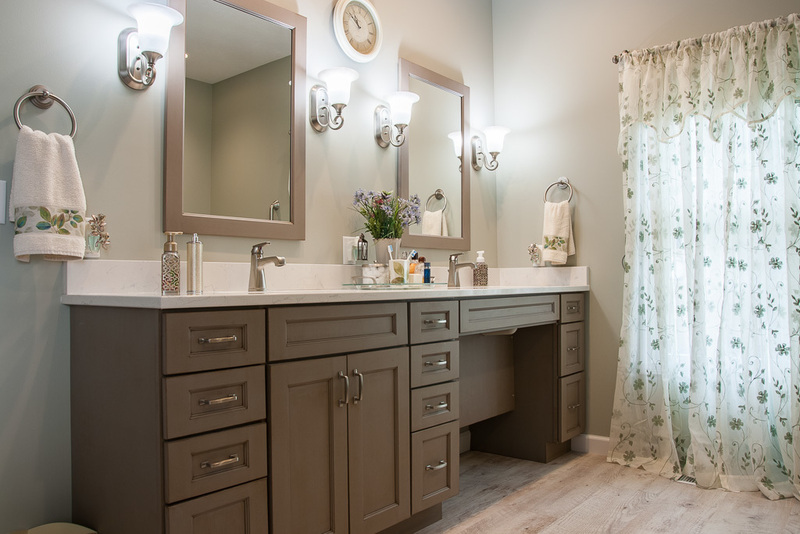 At DreamMaker Bath & Kitchen of Springfield, we use smart designs, beautiful materials, and expert craftsmanship to bring your home remodeling project to fruition, stress-free and on time. Our engaging team of designers, carpenters, and support staff work expertly to help you reimagine your home and transform it into living spaces your family will love. After all, your home is special and your dreams are big. We’re here to help bring it all together. 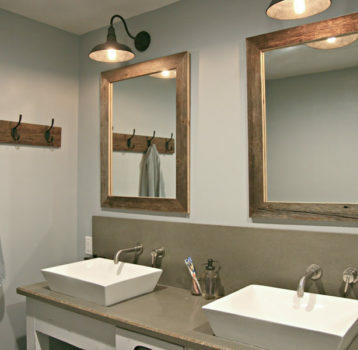 We take pride in creating delightful spaces for kitchens, bathrooms, basements, and more! Your kitchen is where people gather to connect, snack, laugh, and make memories. Transform your kitchen to fit your family and how you entertain by blending carefully-planned utility with quality materials. 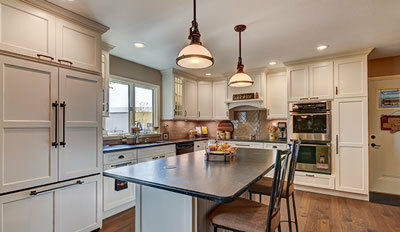 We’ll help you design the kitchen of your dreams! 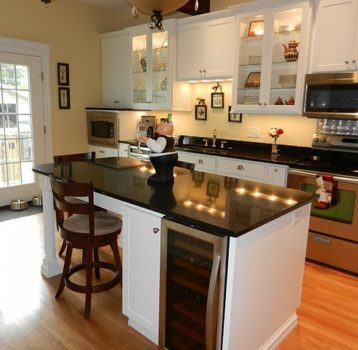 See examples of beautifully redone kitchens in our kitchen remodeling project gallery. Yes, your bathrooms are the most private spaces in your home. But that doesn’t mean they can’t also have style. Bring your bathroom up-to-date, make it bigger, or add useful safety features. From minor updates to a total overhaul, we’ll help make your dreams a reality! 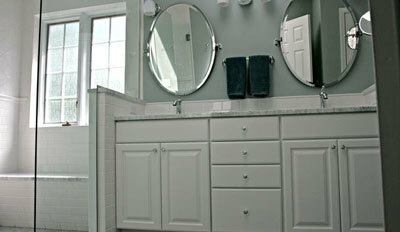 See examples of masterfully renovated bathrooms in our bathroom remodeling project gallery. If you're planning to stay in your house for a while, it might be worth thinking about how your home can age alongside you. As the kids move out and maybe an older parent moves in, your needs might change. One day your own needs might change, whether due to mobility issues or lifestyle changes. 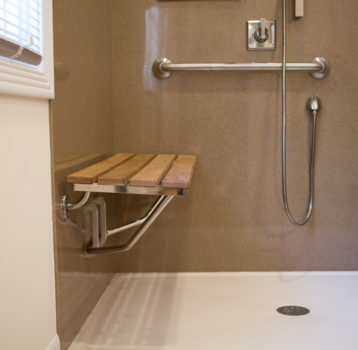 DreamMaker Bath and Kitchen has Certified Aging in Place Specialists who can help you plan for these eventualities and update your home now to meet these anticipated needs. Game rooms, family rooms, play rooms, man caves, and more. Extend the living space in your home with a basement remodeling project that adds that little extra you’ve been missing. You’ll wonder how you ever lived without all that space! 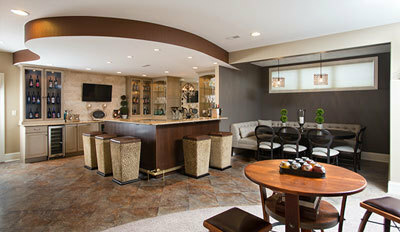 Get inspired by some of our finished basement projects in our basement remodeling project gallery. Have other remodeling projects on your mind? We’d love to help bring your home remodeling ideas to life!,We can help with home offices, laundry rooms, pantries, walk-in closets, and more. Contact us and let’s talk. Visit our special offers page or give us a call at 217.529.9300 to learn more about our financing options. "My wife and I contracted with DreamMaker because of our previous experience with them and once again we were not disappointed. They do professional work, provide quality materials, and start and finish the job on time as anticipated. We will most definitely use and recommend that others use DreamMaker in the future." "Extraordinarily client-focused, with attention to detail from design to execution." "I would recommend DreamMaker to anyone that values quality and professionalism! Everyone we worked with throughout the project was very nice and answered all of our questions/concerns. We have wanted to remodel the kitchen since we bought this house in 2010. We are so happy with the final product!!"